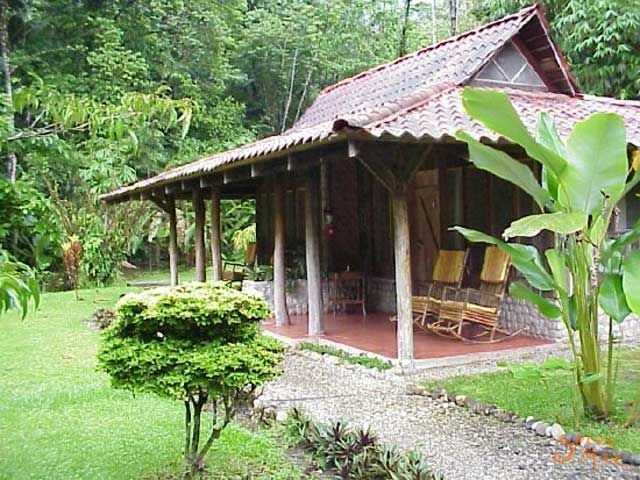 Esquinas Rainforest Lodge is a tropical paradise in the remote jungle of Southern Costa Rica, surrounded by the untouched wilderness of new Piedras Blancas National Par. It was financed by the government of Austria as part of a model project combining development aid, nature conservation, and rainforest research. All profits go to the local community. 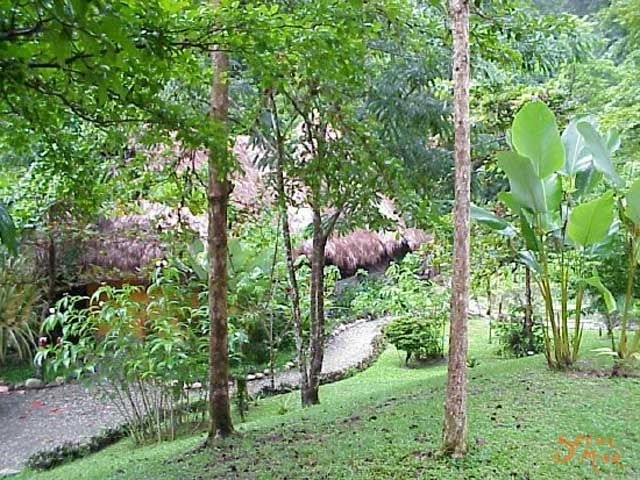 Only 5 kilometers apart from the Interamerican Highway and a 30 minute taxi ride from Golfito airport, the lodge welcomes all kinds of nature lovers. 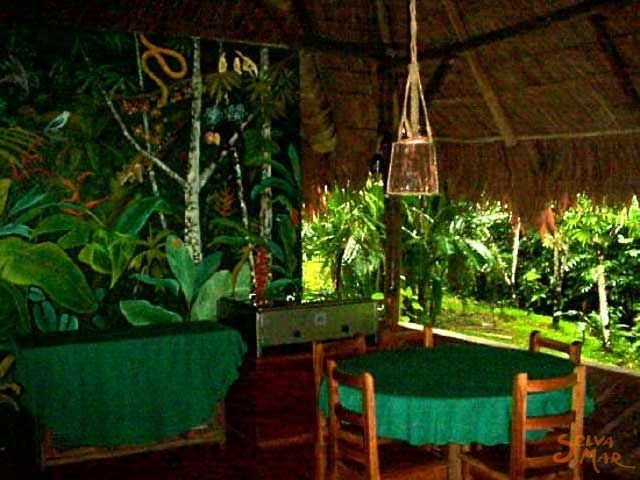 The large main building has a spacious, open living room, library, bar, and a restaurant offering high standard cuisine only a stone's throw from the dense jungle. 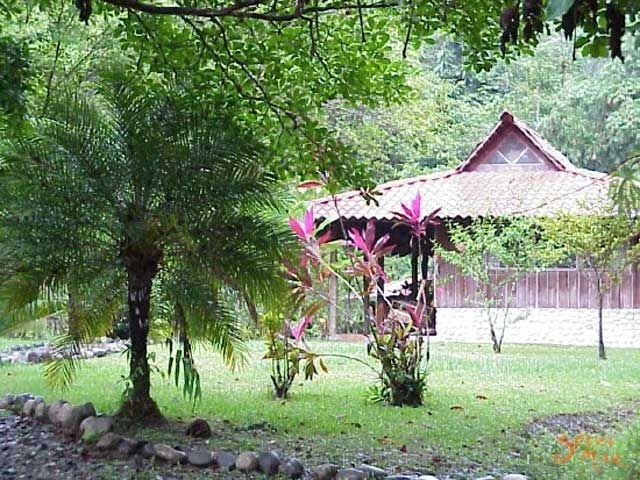 Meals include fresh tropical fruits and vegetables grown on the property. 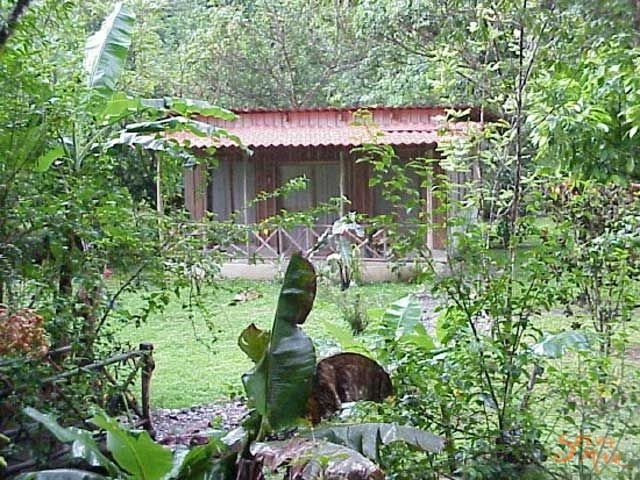 Our ten cozy rooms have a private bath, hot water shower, tiled floor and ceiling fan. 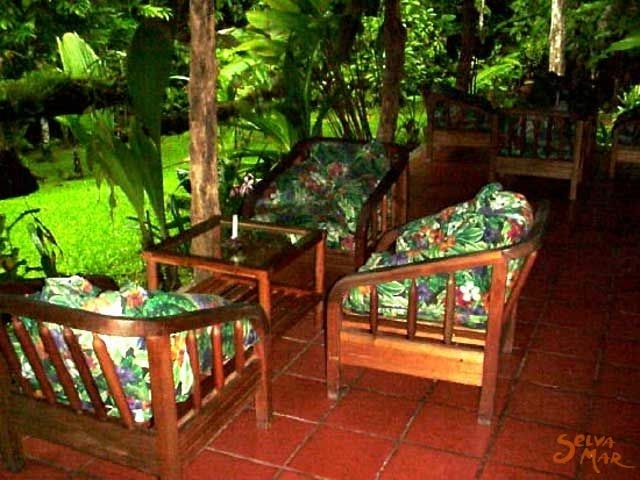 While relaxing on the shady veranda, guests can enjoy a close up view of the forest. 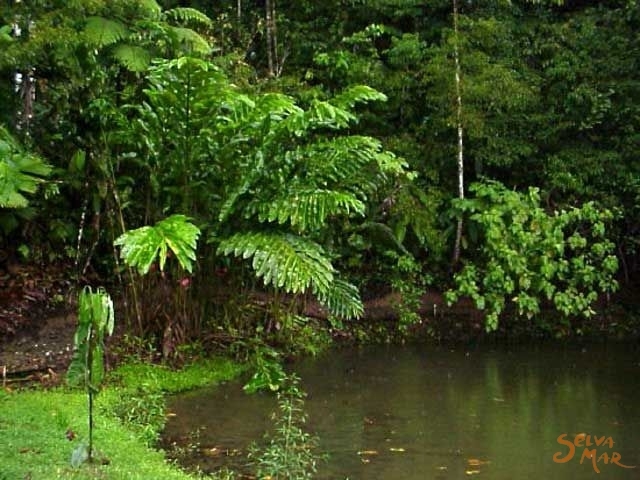 The array of interesting birds, including parrots and toucans, is stunning (over 200 species have been counted). 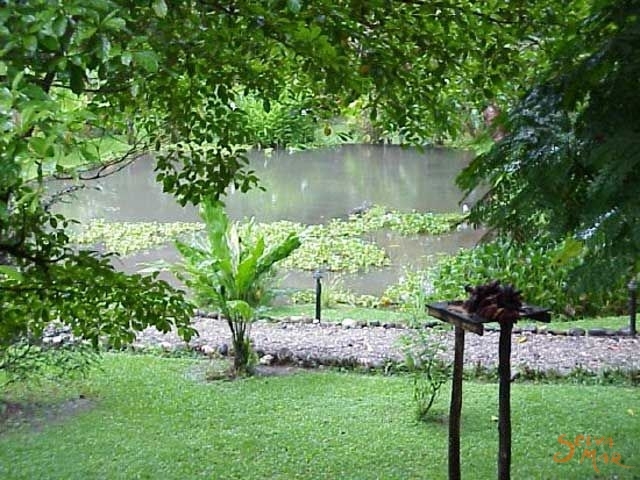 A crystal clear jungle stream flows through the naturally filtered swimming pool and the beautifully landscaped tropical garden, which attracts a great variety of wildlife such as monkeys, sloths, caymans and colorful butterflies. 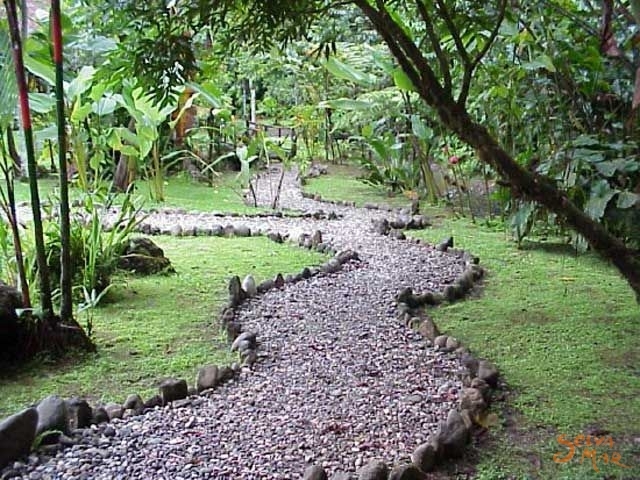 A 10 mile long net-work of wellmarked trails departs directly behind the lodge. 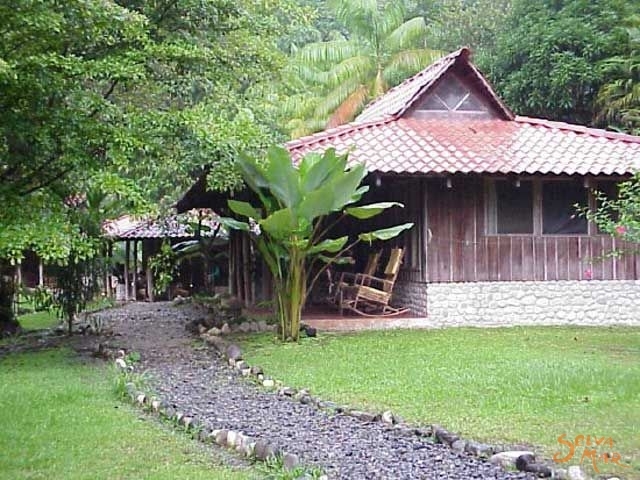 Guests can chose between an easy walk of 30 minutes or more strenuous hikes of up to 5 hours, most of which lead through fascinating, untouched primary forest. 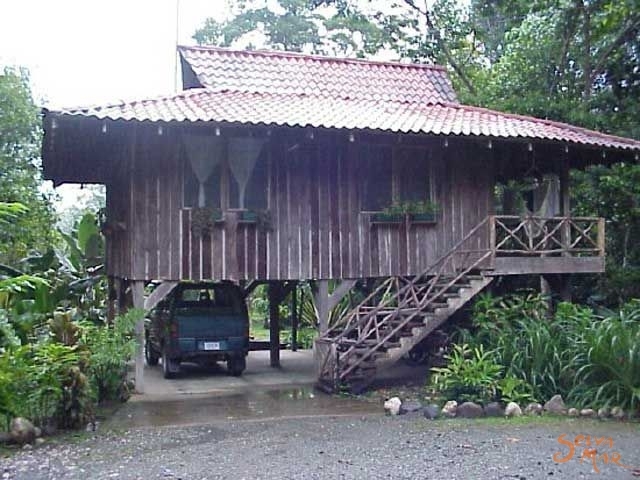 From Palmar Norte, proceed south on the Interamerican Highway for 30 miles past Chacarrita to Villa Briceño (Km. 37). Watch out for the sign at the turn-off (we are not allowed to put up large billboards). Follow the level dirt road through La Gamba to the lodge (3 miles). 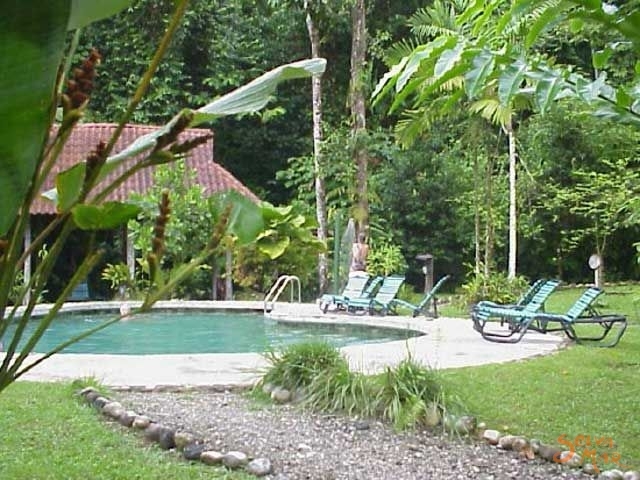 Count on between five and seven hours from San José and three hours if you are coming from Quepos or Manuel Antonio. SANSA has three daily flights, and Nature Air has two daily flights to Golfito. One-way fares vary between $66.00 and $84.00. 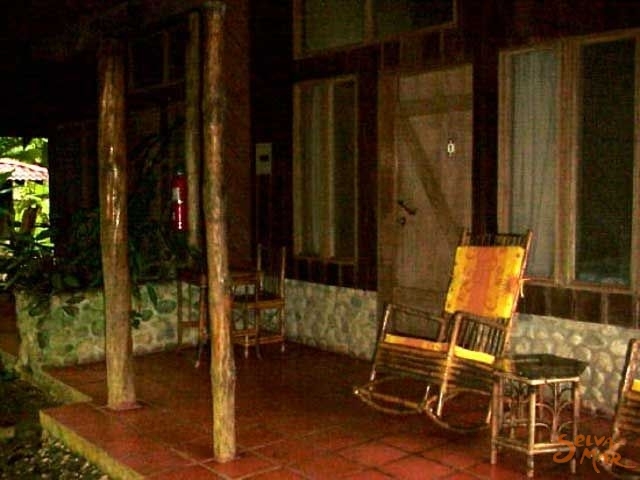 From Golfito, it is a 30 minute taxi drive through the rainforest to Esquinas Lodge. A taxi costs approximately $20.00. 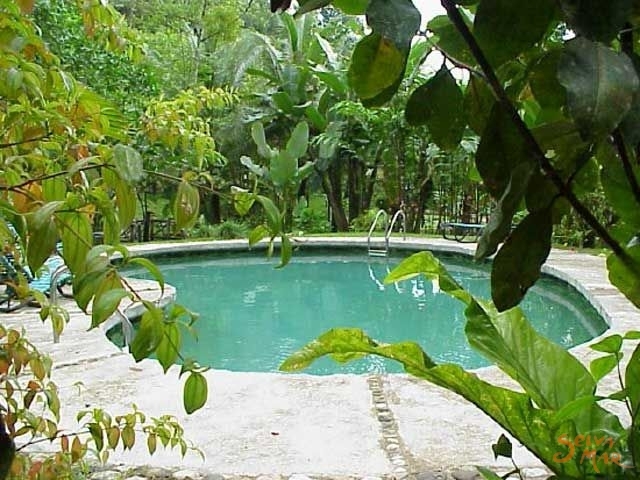 Free pick-up is included in our package prices (minimum two persons). Since weather conditions usually deteriorate around noon and both airlines tend to run late, we suggest that you book one of the early morning flights. The bus line TRACOPA departs from Terminal Alfaro every day at 7 a.m. and 3 p.m. for the 8-hour ride to Golfito. Tickets cost around $10.00. 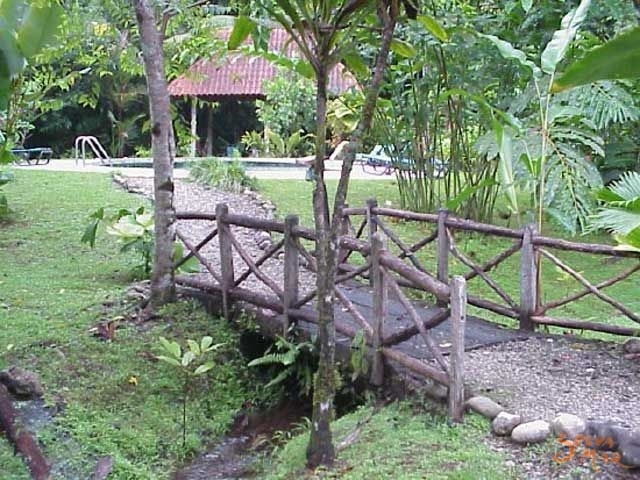 Tell the driver you want to get off in Villa Briceño (kilometro 37), which is 45 minutes before Golfito. Ask around for a ride to the lodge and we will pick you up. Information: Alfaro Tracopa Tel. 2222-2666.